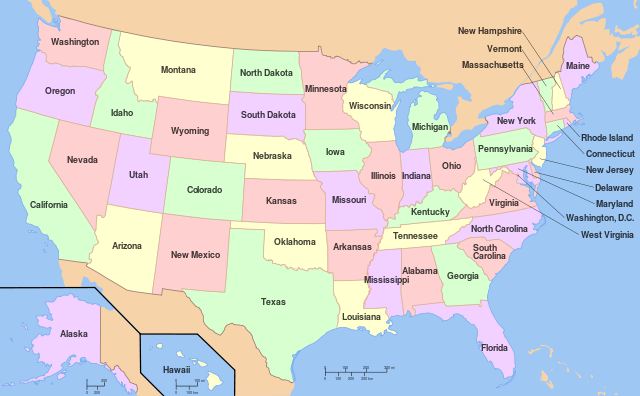 States of The USA (United States of America) including Alaska and Hawaii. USA Population density according to counties - Year 2000 (Could be useful as a tour planner i.e. where the audiences are? ).